Our Herd Sire Sittn' Bull races to the pasture full of heifers! The Gravett’s began raising Texas Longhorns at G&G Longhorns in 1988 as a natural extension of their interest in agriculture. The ranch has evolved into one of the leading programs in the breed. For many years, the Gravett’s hosted a sale near their home in Virginia known as the Gravett-Babington Sale with the late Paul Babington, to offer their cattle and also provide a place for their customers to market through consignments. Since then the sale has become the successful Cherry Blossom Sale hosted by the TLMA. This sale has become the leading sale on the east coast. 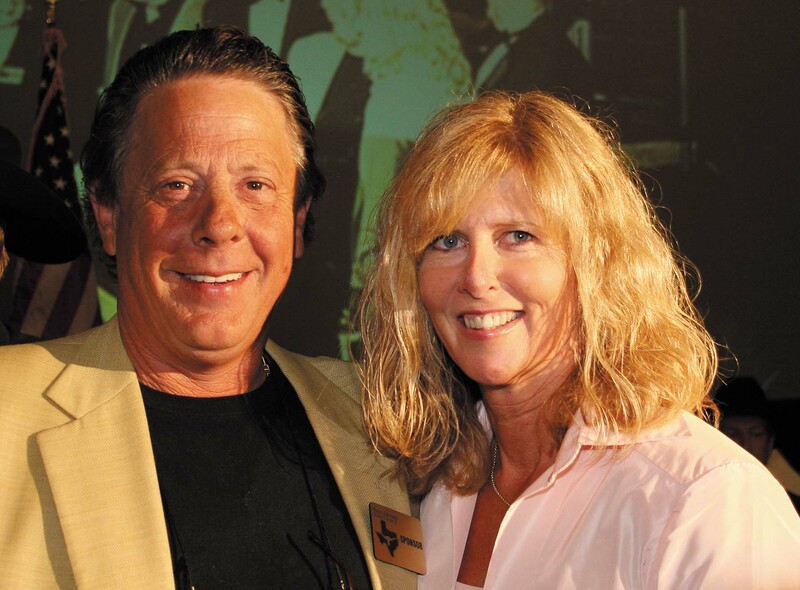 The Gravett’s are the founders of the successful Millennium Futurity which began in Virginia in 2000. Ben founded the super successful Horn Enterprise. This is a partnership that includes some of the hottest bulls in the breed including Sittin Bull. Since 2010 Ben & Ann put on the Annual Fall Roundup. This event is to help breeders on the eastern side of the United States to brand their cattle as well as enjoy some knowledge. This event also raises money for various charities. Always willing to serve, Ben has been active on several boards at the national level, along with being a major supporter of the breed through contributions and donations including those to the TLMA's 2008, 2009, 2010, and 2014 Longhorn World Championship. In 2010 and 2013 the Gravetts were awarded the Millennium Futurity Breeder of the Year. They accomplished this act without showing a single animal. Ben is also the chairman for the Texas Longhorn Heritage Foundation. 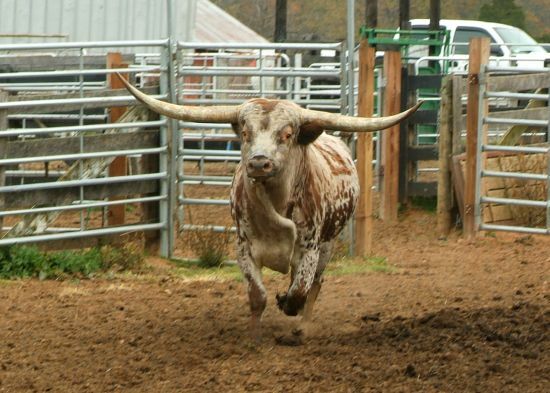 In 2013 Ben was also awarded the Pioneer Breeder of the Year Award from the International Texas Longhorn Association. Sadly, in April of 2014 at the age of 60, Ben passed away at his home. The longhorn world will never be the same but G&G has continued on under the leadership of Ann Gravett. A lady who grew up in the livestock world, Ann is perfect for the job. She also sits on the board for the TLMA. G&G continues it's strong push. They were top tier sponsors at the 2014 Longhorn Extravaganza in Oklahoma City, sponsors of the 2015 Legacy XI Sale, and are sponsoring the Hudson/Valentine Sale in Las Vegas September 19th, 2015. In March 2015, The Texas Longhorn Legacy Sale named their heifer sale the Ben Gravett Spotlight Heifer Sale.